The NCAA tournament has found its elite eight college basketball teams, and with them, Phoenix Moirai has eight elite deals left for you. We still have plenty to offer business men and women, writers and brides, as well as those who just want something special to give your friends and family. But don’t wait to take advantage of these terrific deals; by the end of the weekend, four of them will end their long, maddening journeys. 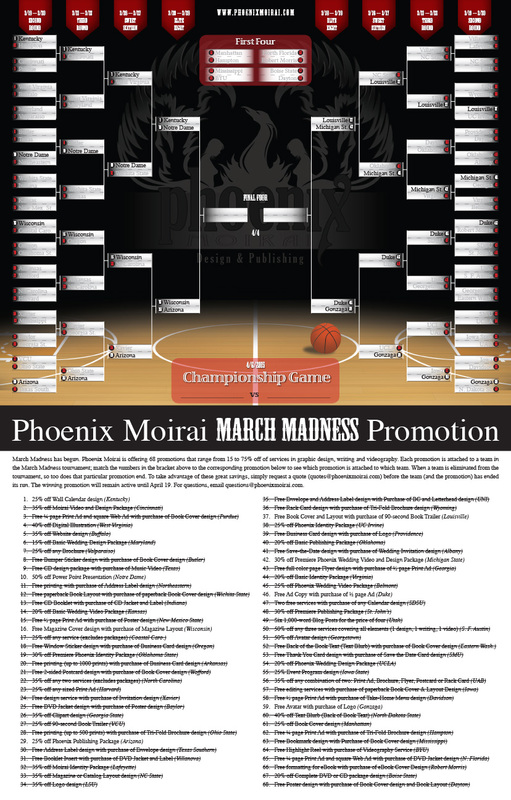 On Saturday, Free Magazine Cover design with purchase of Magazine Layout (Wisconsin) takes on 25% off Phoenix Moirai Publishing Package (Arizona), after which, 25% off Wall Calendar design (Kentucky) tries to take out 50% off Power Point Presentation (Notre Dame). First up on Sunday is Free Book Cover and Layout with purchase of 90-second Book Trailer (Louisville) against 30% off Premiere Phoenix Wedding Video and Design Package (Michigan State). Then, Free Ad Copy with purchase of ½ page Ad (Duke) tries to end the reign of terror that is Free Avatar with purchase of Logo (Gonzaga). Don’t miss out! Request your quote today and save. 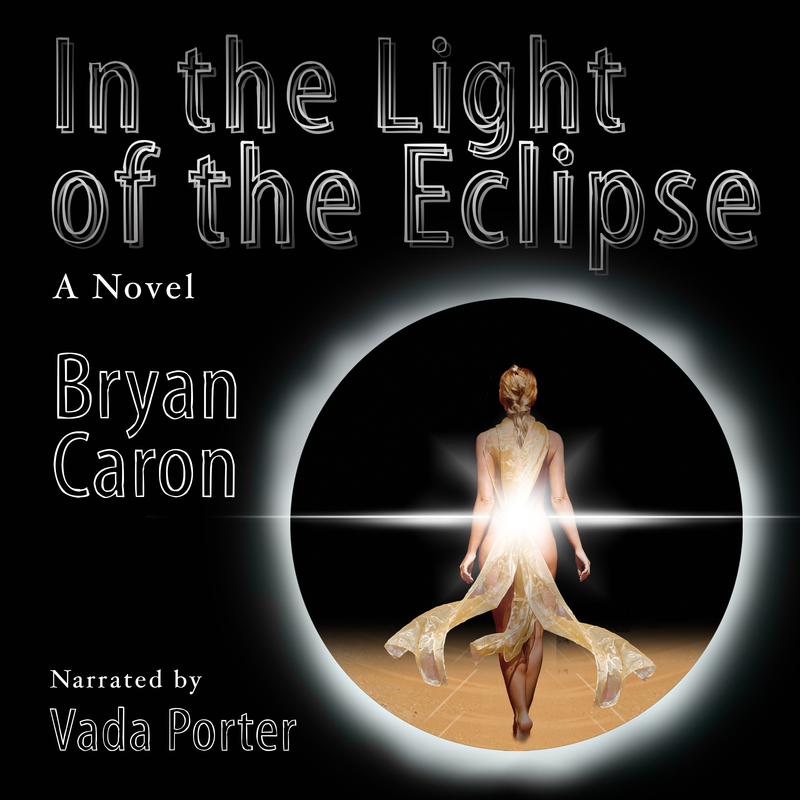 This entry was posted on March 28, 2015, 7:57 am and is filed under Books, Miscellaneous Stuff, Novel, Promotions, Sports, Video, Wedding. You can follow any responses to this entry through RSS 2.0. You can leave a response, or trackback from your own site.